HOUSTON, TX, July 10, 2017 – Sunny Sky Products, LLC. 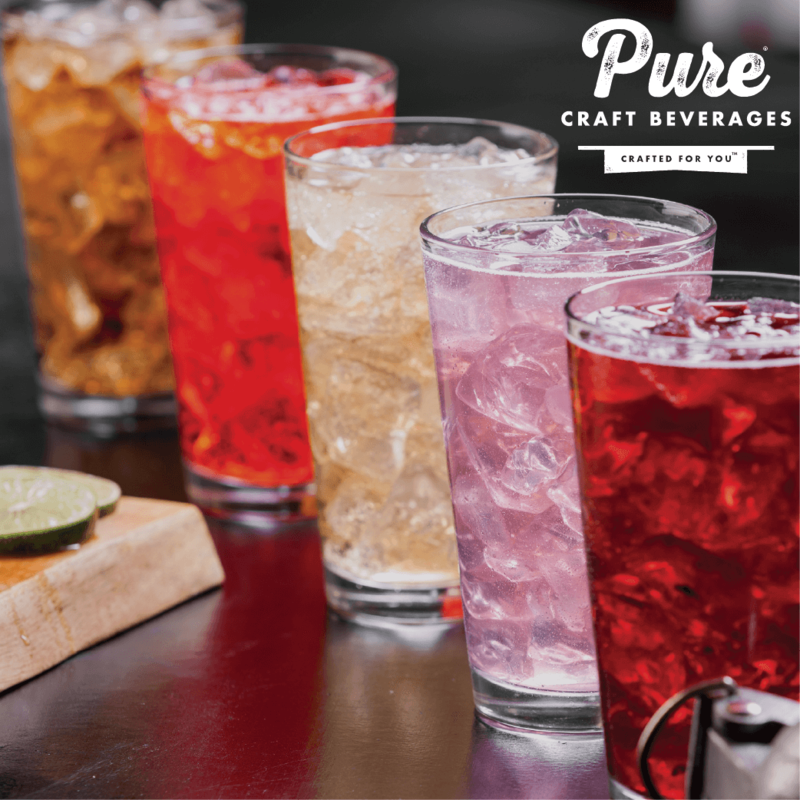 is excited to introduce the new look and flavor lineup of our dispensed fountain drink line, Pure® Craft Beverages. The new Pure line includes hand-crafted sodas, teas, lemonades and sparkling waters that will give consumers the ultimate beverage experience they have been craving. With a wide range of flavors offered, Pure Craft Beverages boasts superior flavor and quality, a pure difference you can taste. The Pure line is perfectly balanced with a mix of traditional flavor offerings as well as more complex and on-trend flavors that will add excitement to the fountain. The flavor spectrum consists of tried and true soda classics such as Root Beer Float and Cherry Limeade to our innovative lineup that consists of Blood Orange Soda, Hibiscus Mint Tea and Black Cherry Dragonfruit Sparkling Water. The “crafted for you” beverages are made with high quality ingredients, real sugar and are free of High Fructose Corn Syrup or HFCS. Pure Craft Beverages are sold in 2.5 gallon Bag-In-Box (BIB) and 3.0 gallon BIB. The new craft beverage line will be available starting today through select broad-line distributors.